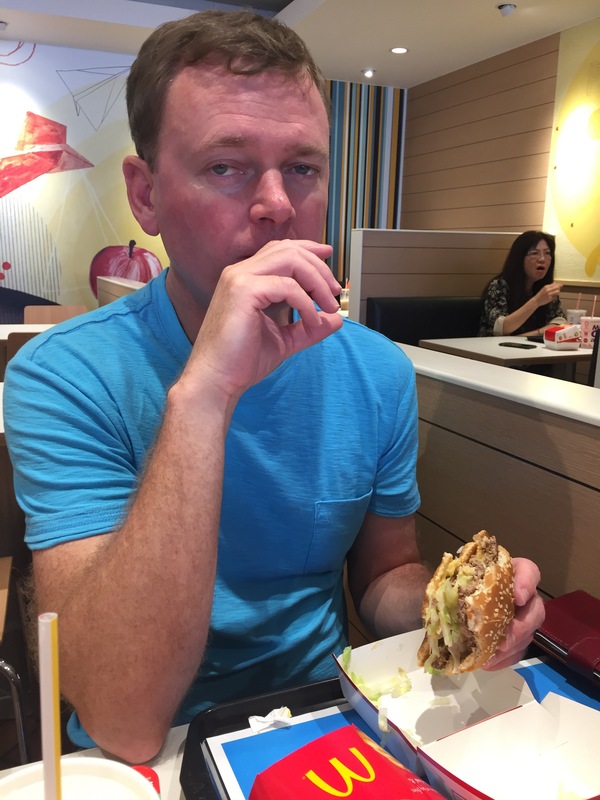 In previous installments we tried Doritos and Oreos; today we find ourselves in Okinawa on vacation and humoring the older child, who celebrated a birthday yesterday. 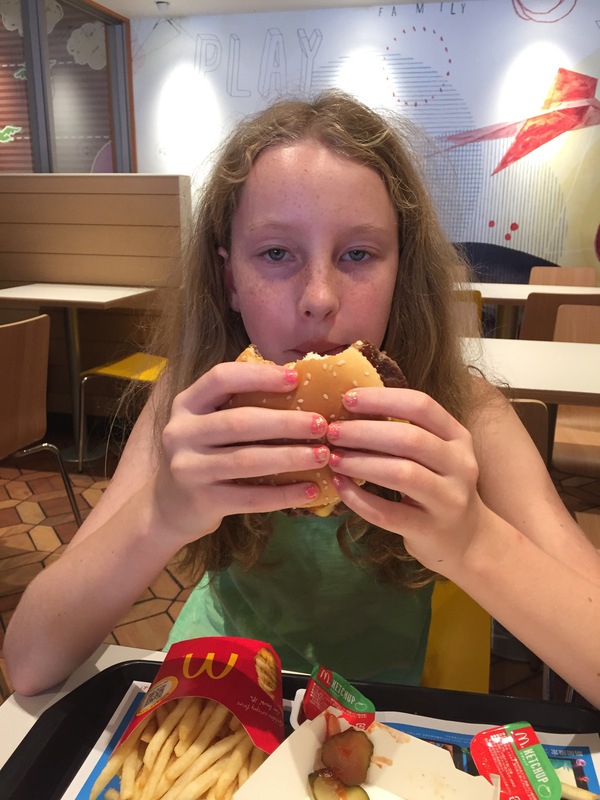 “I want McDonalds for lunch!” she declared. 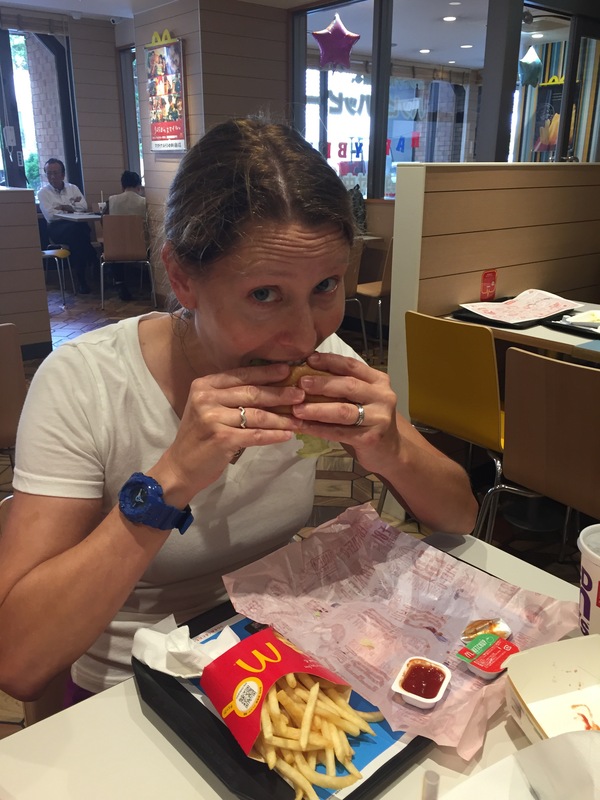 So off to the Golden Arches we went. 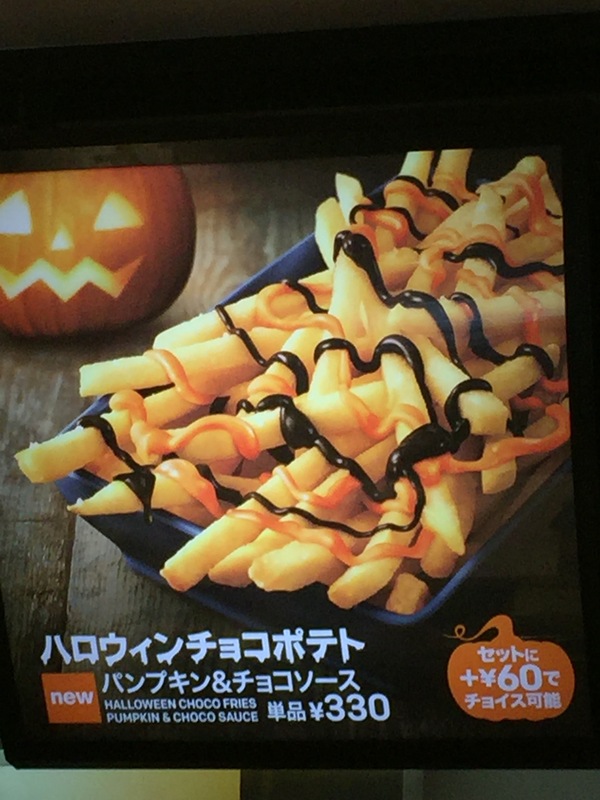 I heard about the Halloween Pumpkin Chocolate fries, but they didn’t even look good in the photo. 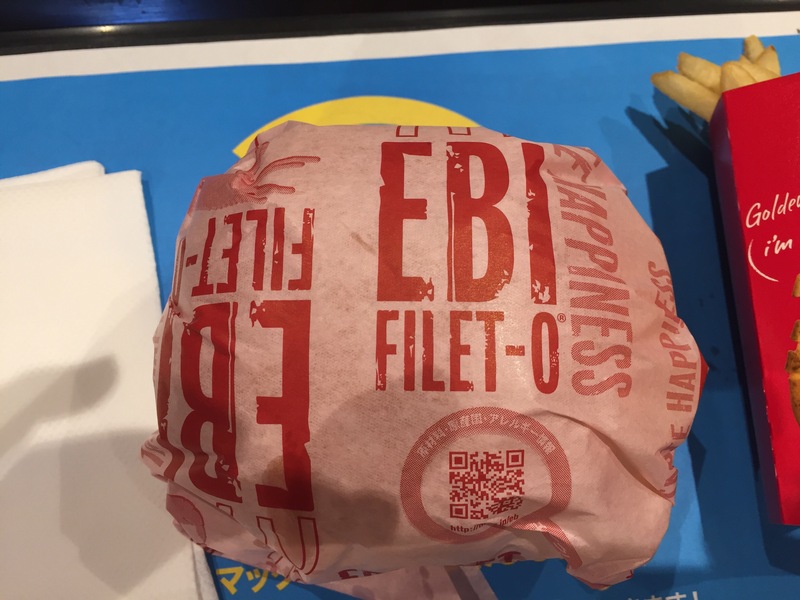 A friend mentioned that the shrimp burger was pretty good, so I ordered an Ebi Filet-o to see for myself. …and close up. 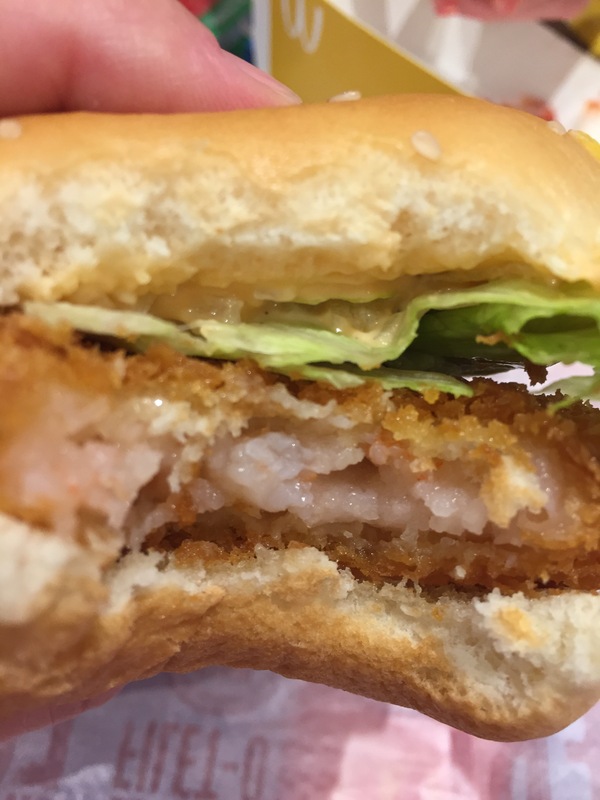 There’s actual shrimp in there! It was ok. 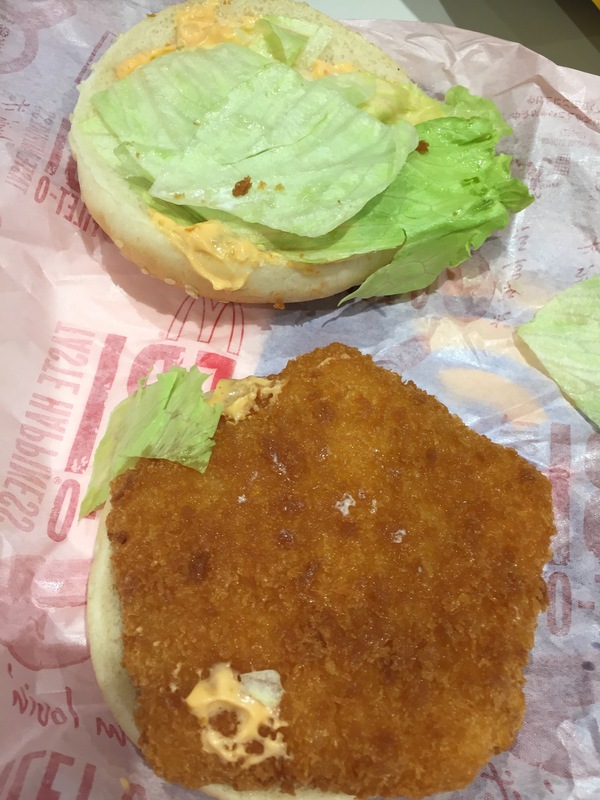 It looked and tasted like a Filet O Fish, only made from shrimp. 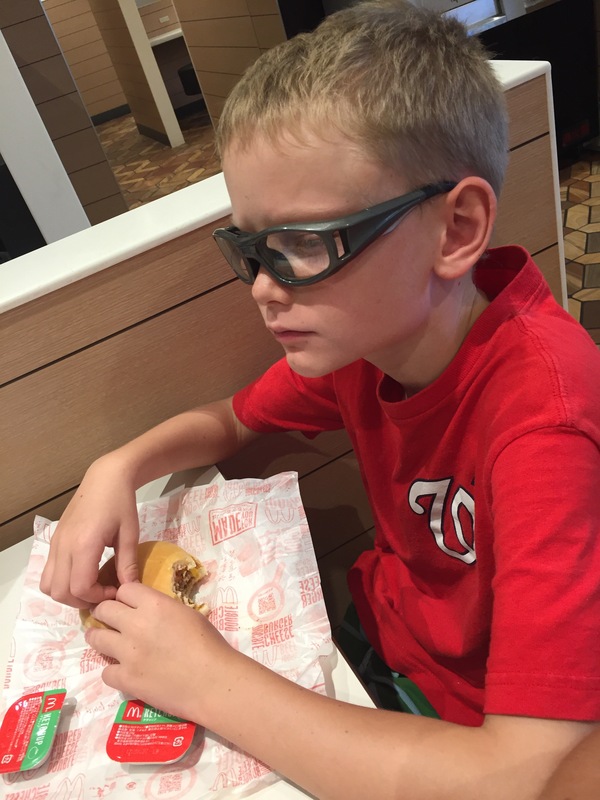 And if you’ve never actually tasted a Filet O Fish, it tastes exactly how it looks. The rest of the family sampled the standbys. Meh. 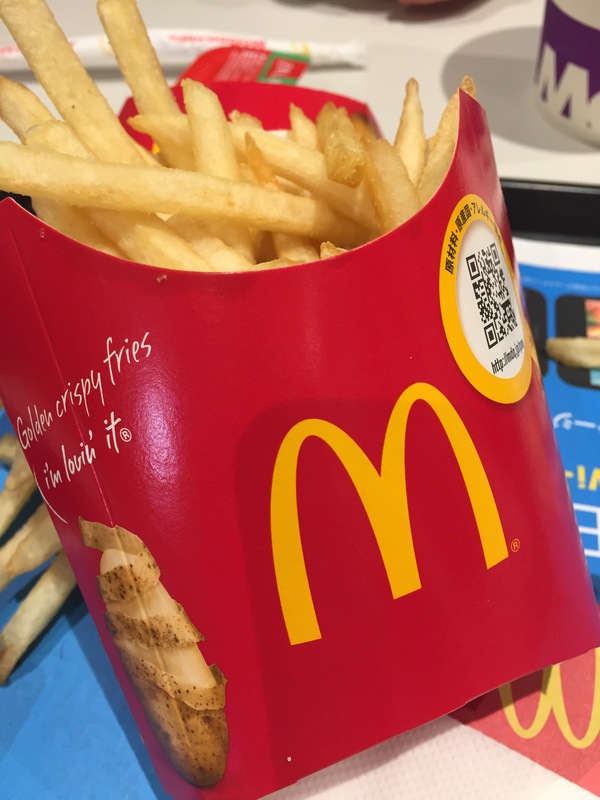 It’s McDonalds. Our expressions pretty much say it all. This past Thursday I played hooky from my usual Japanese class and headed into Tokyo with my friends Chika and Sabina. Our destination: Kappabashi, or Kitchen Town. Guidebooks often call Kappabashi the plastic sushi district, or the place where many restaurants buy the food samples that they display in glass cases out front. A better description? Everything but the food. Alongside the food replicas you’ll find everything you need to run a restaurant like chairs, pots and pans, baking supplies, dishes, signage–and even a shop with nothing but brushes, and another that sells the the ordering/vending machine seen at ramen shops. 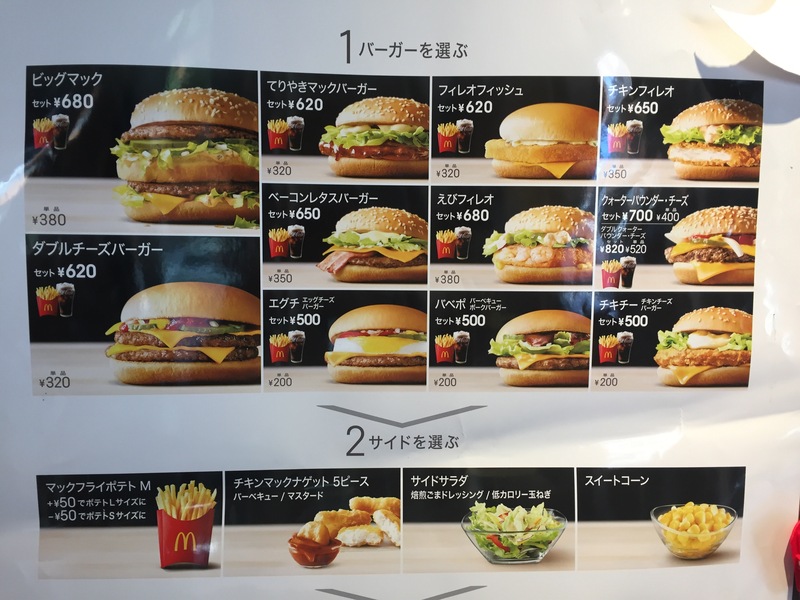 My Japanese chef friend Nori calls it Disneyland for cooks, and he’s right. For you cooking pros in the U.S., think Restaurant Depot–only so, so much cooler. Our first stop was Ganso Shokuhin Sample-Ya where we made our own food replicas. We headed upstairs, donned our aprons, and joined a group of school kids in creating tempura of shrimp and veggies with a side of lettuce. Wax, warm water baths, and most importantly expert guidance led to fairly impressive results. After our samples adventure we did some shopping in the gift shop downstairs, which included kits for replica food fun at home. All that fake food made us hungry! We wandered into a side-street restaurant and enjoyed bowls of tendon, or tempura fish and veggies over rice. After lunch we wandered the shops of Kappabashi some more, then headed home.